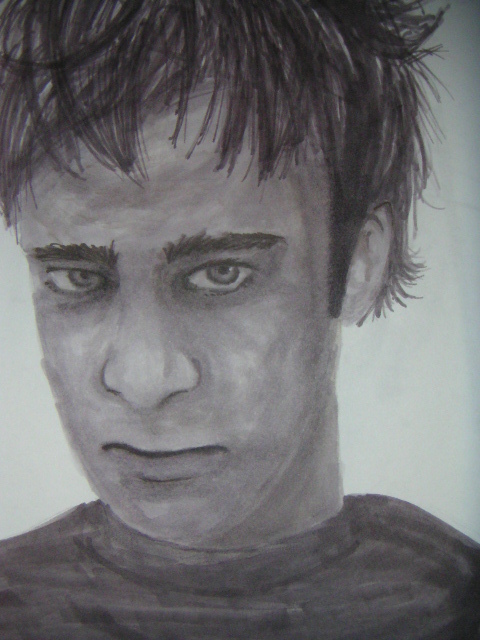 Failed attempt to draw Dominic Monaghan. Once more it turned into Esher (I like that name). It looks kinda funky here in the pic, but oh well.